Genevieve Flanagan is currently a farmer without a single pea pod, head of lettuce, or red radish to show for it. On a typical farm visit in May, I’d expect to see overwintered kale, numerous seedlings waiting for future plantings, and freshly prepared soil. 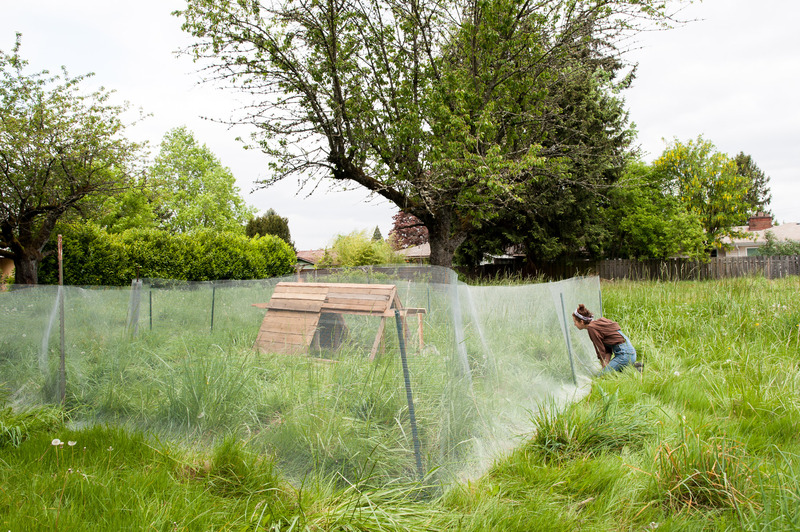 But at Flanagan’s urban farm in Portland’s Parkrose neighborhood, after parking in front of a giant yard that framed a long cinderblock ranch-style house, I walked past recently planted and diminutive trees, tiny tea plants, long grass, and dandelions. 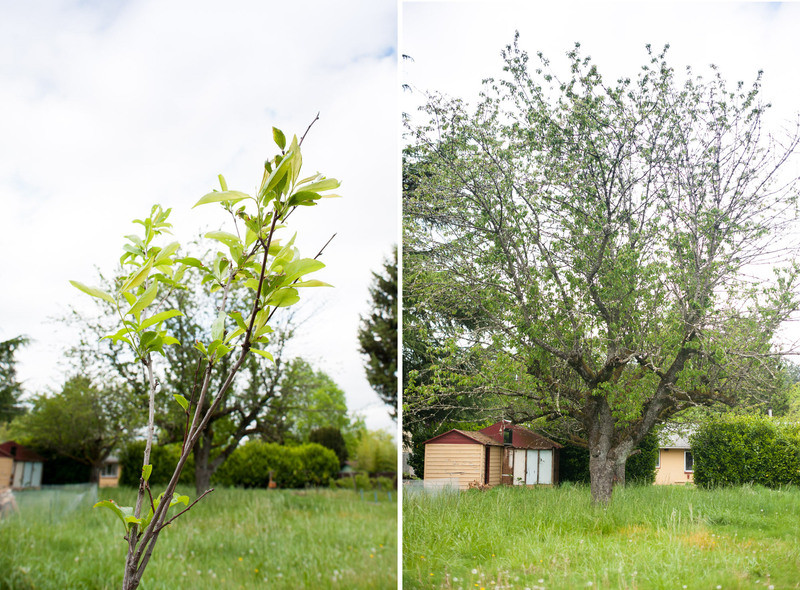 To the untrained eye, the backyard looked to be in a similar state: huge, overgrown cherry trees and a wide expanse of grass and weeds with a small flock of adolescent ducklings doing their part to nibble through the vegetation. This is Flanagan’s Urban Acre Homestead, and following our nearly two hour conversation, it felt as if Flanagan – petite, perky, and positive – had offered me a pair of filtered glasses to gaze upon the property, a lens that both allowed me to see what I had missed on first glance, and offered a reminder of how a property doesn’t become a farm overnight. Flanagan and her husband, Joe, purchased the home and its acre lot (a size that’s nearly unheard of in Portland’s city limits) last year. 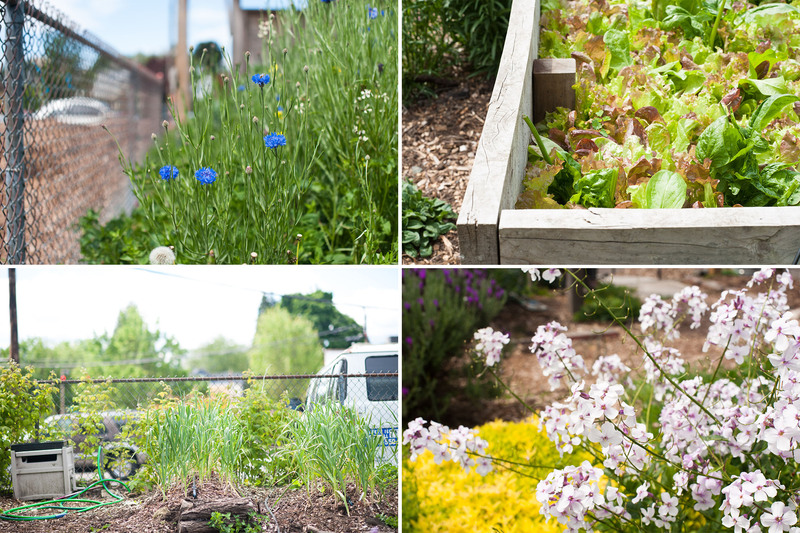 The resultant ownership of this land guides all of Flanagan’s present decisions: she strives to be a sustainable part of this outer Portland neighborhood for years to come, and as such, is one of the most methodical, patient, and nuanced farmers I’ve ever met. Flanagan, along with current Zenger farmer Bryan Allan and Sean Chen-Haider, interned at Zenger Farm in 2010, the first year Zenger offered such an internship. After graduating from college with an environmental studies degree (not an uncommon thing: I’ve spoken with many farmers who hold such a degree), Flanagan lived in Arizona for a year with her new husband. While there, she worked with an organic farmer and became a certified desert landscaper. She laughed at the variety of her growing experience, from the subtropic environment of Florida (her original home), to the arid environment of Arizona, and a temperate rainforest in Portland. After Arizona, and before her Zenger internship, Flanagan was involved in a serious bike accident. She credits her recovery to her “decision to spend money on good quality produce and food.” Though she’d dabbled in agriculture for several years at that point, her health, as well as her ongoing interest in the cost of food and water management principles, pushed her to apply to Zenger for a “more formal education”. 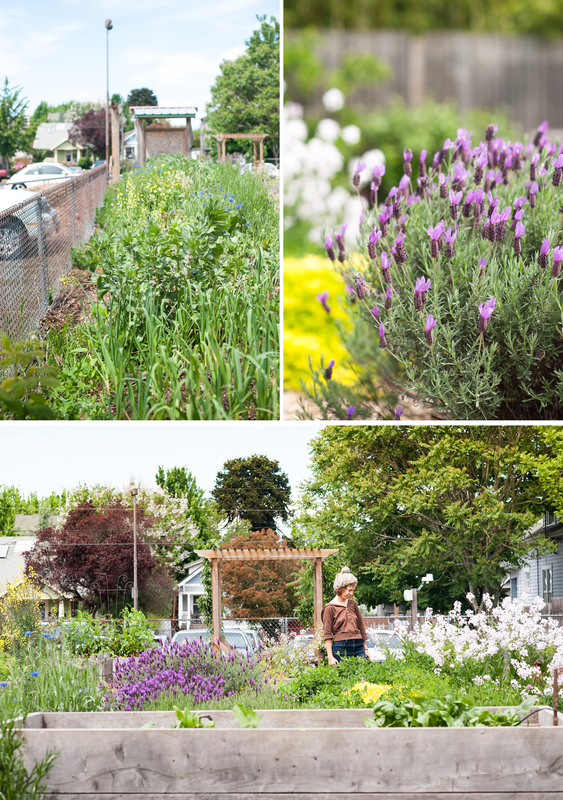 In our conversations, both at Urban Acre and at the garden Flanagan manages for two clinics, Cascadia Garlington and North by Northeast, Flanagan exhibited nearly boundless knowledge of plant varieties, integrated systems, and nutrient density of food. 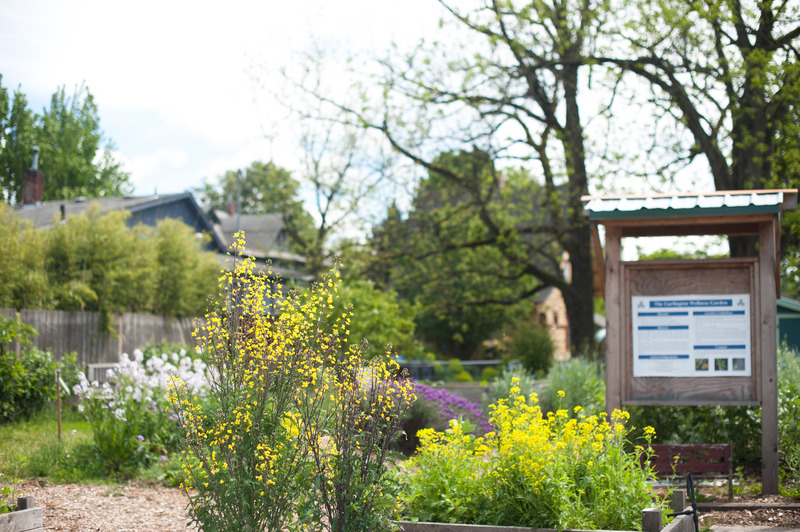 The clinic garden, directly off of MLK Boulevard near Popeye’s and the Nike Factory Store, is designed to be a healing space for neighbors and clinic visitors: an area to wait until an appointment, a place to be surrounded by flowers and pretty edibles. 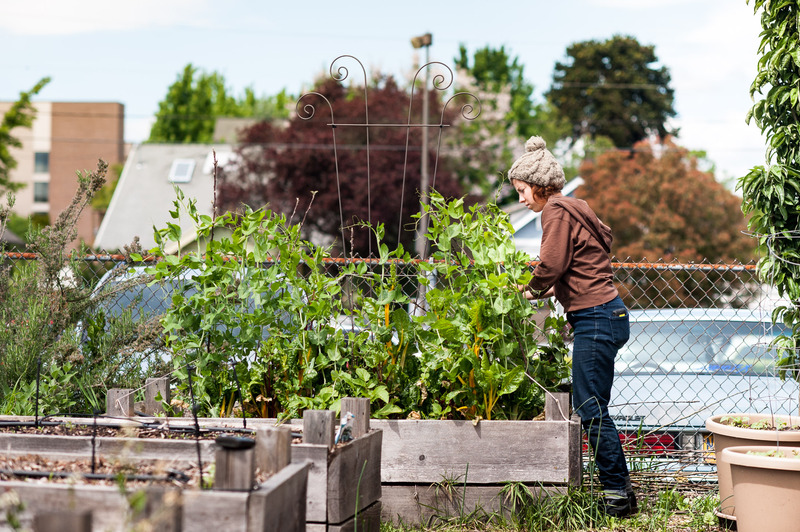 Flanagan maintains the garden on Wednesdays and Sundays; everything she harvests is brought into the clinic and set on tables, free for all who want or need it. This means that she’d rather grow within the existing ecosystem, foraging and producing food that heals and nourishes both the land and her market customers. 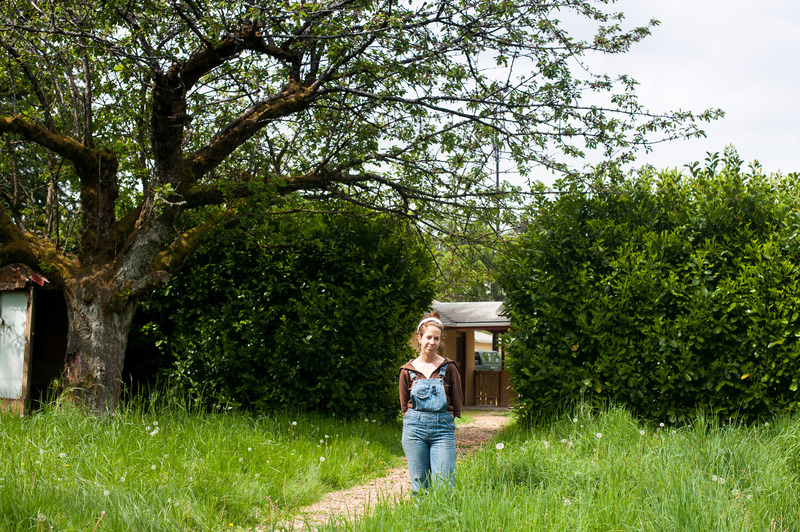 As such, she’s working with what she has: half century old cherry trees that will be aggressively pruned, dandelion greens that will be eagerly foraged, wild herbs that will be transformed into healing balms and teas. We spoke a few days before her first Saturday selling at the Parkrose Farmers Market; her market haul would ultimately include dried cleaver (a “really beautiful garden weed”), nettle tea, lemon balm, and even items she crafts, including some seriously cool English ivy baskets: a unique use for an invasive plant. “We’re doing a lot of things hand and hand for habitat as much as we are for production. 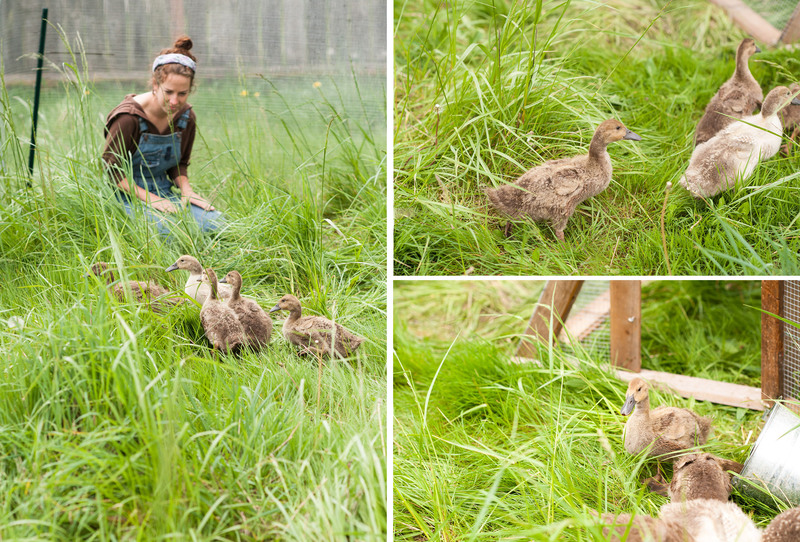 If you make your land habitable to species beyond what you’re growing, you’ll find there are a lot of relationships," Flanagan said, before coaxing the ducklings out for their photo opportunity. “If you support bird habitat, they’ll take care of pest problems. If you provide cover, you’ll get spiders and frogs, which also contribute to pest management,” she concluded. I can easily picture Flanagan as she must have been as a Zenger apprentice: she seems to soak up knowledge like a thirsty plant, connecting her Zenger education and her experiences since to this personal, thought-out approach to agriculture. For instance, the property size of Urban Acre was a deliberate decision. “I figured out what kind of scale I wanted to work with from the beginning, over the years of working at other farms and seeing the ups and downs,” Flanagan shared when we first met, sitting across from each other on tree stumps around a firepit in her backyard. 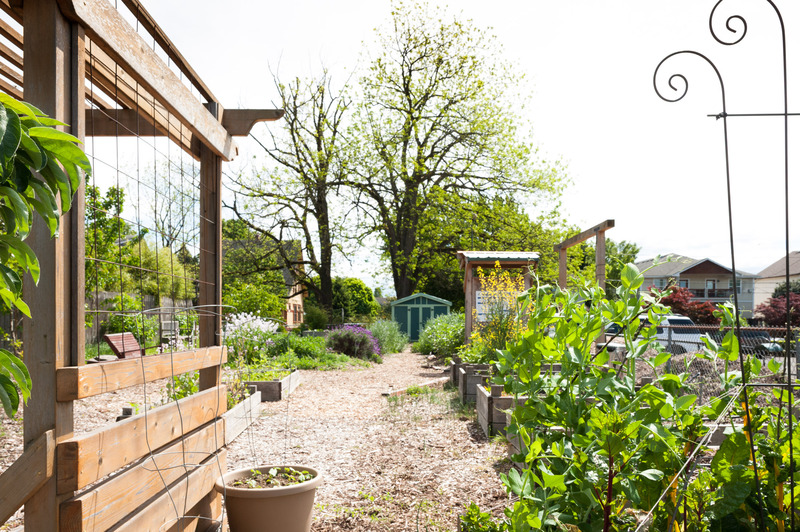 In some ways, her sense of ease in all of the topics we discussed and in the lifetime task of transforming this former family backyard into a productive urban farm was a bit unnerving. It’s rare to encounter a person who balances long term views with a calmness in the present moment. Flanagan remembered how empowered she felt sharing her opinions and listening to other farmers at similar stages in their careers. Barely into her internship at Zenger, she’d already realized the giant gap that existed in how most farmers are educated: either a “fly by the seat of your pants” approach, an indentured servant approach, or a classroom approach that emphasizes technology at the expense of more holistic systems. “Farming is a huge risk. It’s a physical risk. It’s a financial risk. But the enthusiasm is there; the need is there. How do we bridge that gap?” Flanagan aptly asked. The farmer mixer was a “game changer” for Flanagan, and seeing Rogue Farm Corps as the ideal way to expand her farming knowledge and skills after Zenger, she and her husband moved to Southern Oregon so Flanagan could work on a wholesale organic vegetable farm. Though she and her husband didn’t specifically seek out this Parkrose neighborhood, now that they’re here – for the long-haul – they’ve dedicated themselves to this specific community, not one in a different section of Portland. As she showed me her English ivy baskets, she talked more about selling at Parkrose Market, a farmers’ market in its early stages that certainly doesn’t have the draw of a neighborhood market like King or the theatrical spectacle that is PSU’s Saturday Market. As a farmer, of course one wants to sell at markets that have high, consistent, foot traffic. But on the flip side, how do markets become better without farmers who sell high quality produce? “I believe in being there,” Flanagan told me. “If every vendor said I don’t want to sell here because it’s too small, then there won’t be a market. It’s important to have farmers making a commitment to a market so it can exist. You’ve got to show up,” Flanagan emphatically stated. 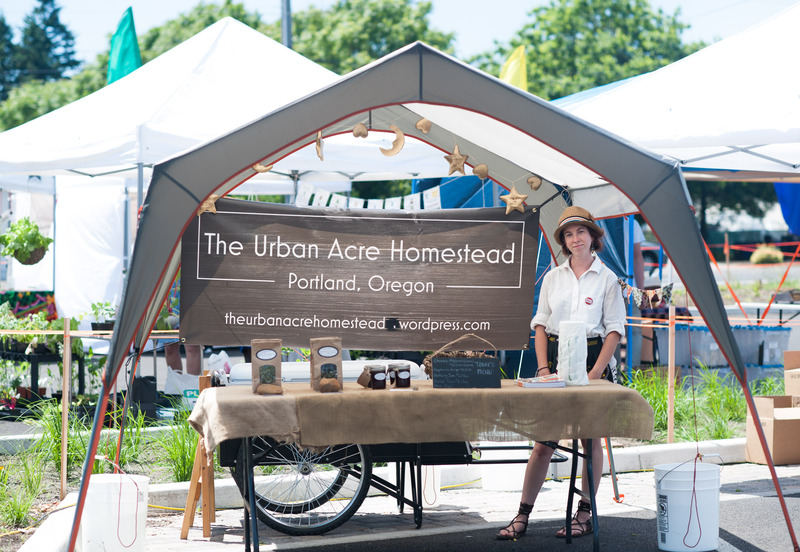 Urban Acre’s offerings will change with the seasons, and with the years, as Flanagan builds her customer base and impact, one market day at a time. “Next year the offerings will be much different. Perennials that are of size. Annuals in prepared ground. We’ll keep changing it up as opportunity arises,” she shared. At Urban Acre Homestead, while I didn’t see crisp lettuces, irrigation lines, or trellises, I still saw the beating heart of sustainable agriculture, a heart that will ideally remain healthy for years to come. Flanagan nurtures her property with great respect, employing a thoughtful reflection of her land. 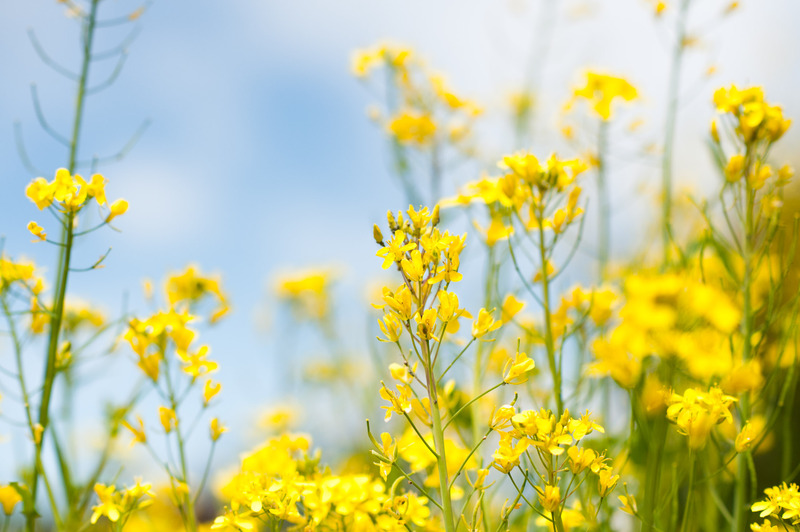 Actual planting is certainly in her future, but this planting will be integrated with what’s already there – trees, plants, and weeds that have thrived, or at least survived, for years before she and her husband purchased the land. With a clear focus on light, rain patterns, natural resources, and balance, she hopes to produce vegetables in a manner that doesn’t obliterate nature, that speaks to both a neighborhood terroir and a neighborhood’s needs, and that come from a farm that her surrounding community can rely on for years – and decades – to come. The chocolate chip cookies were melting in the surprisingly warm April sun.